Shah Jahan (ruler of the Mughal empire in India in the 16th century) built Taj Mahal for the love of his life, Mumtaz Mahal. 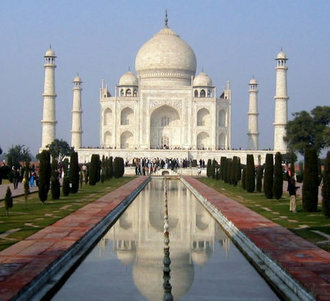 Today, the historical monument which is one of the Seven Wonders of the World is the ultimate testament to love and easily the most famous landmark in modern India. But you don’t need to build a Taj Mahal for your special one just gift him/her this angular momentum Shah Jahan & Mumtaz Mahal watch, the perfect sign of love. 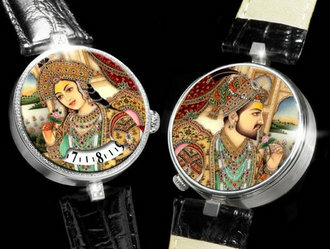 The new Angular Momentum Shah Jahan & Mumtaz Mahal watch tells us the outcome of the close relationship between the two lovers which eventually got the Taj Mahal into existence. The front of the watch has a tiny reserve sapphire Verre Eglomise enamel hand painting of Mumtaz Mahal in a traditional Indian style. 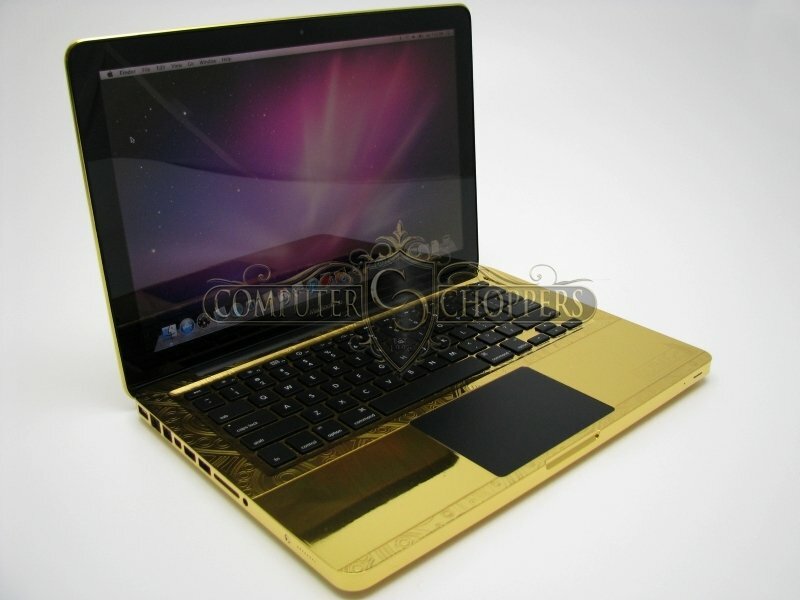 The rear of the case has a hand painting of Shah Jahan made of a sapphire crystal. Time can be seen through the shaped window on the dial of the watch by looking at the revolving hour disc. The size of the watch case is approximately 41mm wide. The case is in steel with serti en pave diamond decoration, which is 1.42 carats, on the bezel and lugs. The case is attached to a black alligator strap which looks magnificent, adding to the ethnic look of the watch. The Angular Momentum Shah Jahan & Mumtaz Mahal watch is a limited edition of just 5 pieces.